Routing rules are an valuable addition to the recent updates of Microsoft Dynamics CRM. Routing rules are available in both 2015 and 2016 versions of Microsoft Dynamics CRM. Here are xRM³, we’ve been using Microsoft Dynamics CRM routing rules for a while. We also have several clients who are now enjoying the ease of use offered with this functionality. Here are instructions on how to create Routing Sets and Routing Rules in Microsoft Dynamics CRM. 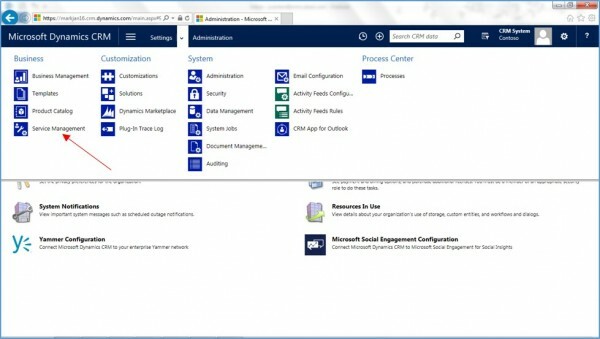 Navigate to Settings and select Service Management. Click New to create a new Routing Rule Set. Name and describe your Rule Set. In this scenario I created a Rule Set that automatically assigns Cases to the associated Account Owner, so I named it accordingly. Once you save your new Routing Rule Set, you can add the actual Routing Rules that belong to that Set by using the grid on the form. Just click the + sign. I created a Routing Rule for User that needs to have Cases auto-assigned to them. This is based on that User owing the related Account. I name the Routing Rule based on the User to make it clear what/who that rule was for. Then I created the query that the Routing Rule uses when assigning Cases. When you scroll down in the Rule Item form, you’ll see the condition options for assignment based on the query logic you previously defined. You can assign the Cases to either a Queue OR a User/Team. Then select the appropriate Queue, User, or Team using the lookup field. Hit Save and Close. Add all the individual Rules needed for your Routing Rule Set. 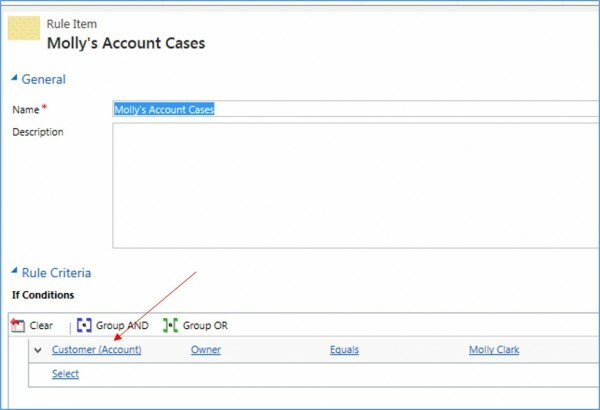 Then make sure you activate your Routing Rule Set in order for the system to recognize it when Cases are created. Now if a Case was manually created or came in through another path, the system will recognize the Routing Rules in place. If you have to make changes to your Routing Rule Set, you must deactivate in order to make ANY changes. By Jessica Carsten, Applications Consultant with xRM³, a Microsoft Partner focusing exclusively on service, support and education for Microsoft Dynamics CRM. Based in San Diego County Southern California. For help with your CRM, contact us by clicking here.